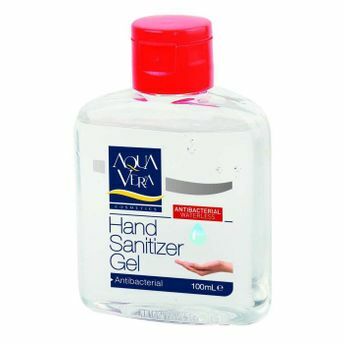 Aqua Vera Antibacterial Hand Sanitizer Gel cleans hands without water and soap. It kills most common germs, thereby preventing the spread of disease. It has been specially formulated with moisturizers to leave hands feeling soft and refreshed. Explore the entire range of Hand Sanitizer available on Nykaa. Shop more Aqua Vera products here.You can browse through the complete world of Aqua Vera Hand Sanitizer .Alternatively, you can also find many more products from the Aqua Vera Antibacterial Hand Sanitizer Gel range.